Companies within the United States that do not follow the Occupational Safety and Health Administration (OSHA) regulations are opening themselves up to all sorts of non-compliance fines. In the developed world, most countries have similar regulations. These regulations are straightforward, and the cost of non-compliance is clear. Other-than-serious – This is an offence that is related to health or safety but would not directly result in severe injury or death. One such example is the failure to post required safety documentation in the work area. Substantial fines result. Serious – These types of violations are issued when an employer is aware of a potential hazard that poses a health or safety risk to the employees but does nothing about it. Substantial fines result. Willful – This level of violation is issued when there’s an intentional violation of OSHA standards. If it results in an employee killed, there’s possible jail time in addition to fines. Failure to Abate – Companies have a set amount of time to fix problems they were cited. If they fail to do so in that time, fines accrue and criminal charges are likely. Aside from fines and criminal liability, employers also have to face the legal costs to settle civil claims, as well as business disruption and negative reputation costs. According to a survey conducted by the American Society of Safety Engineers (ASSE), every dollar spent on direct costs and fines related to an accident results in an additional $3-$10 in indirect costs. Fortunately, these risks can be minimized. 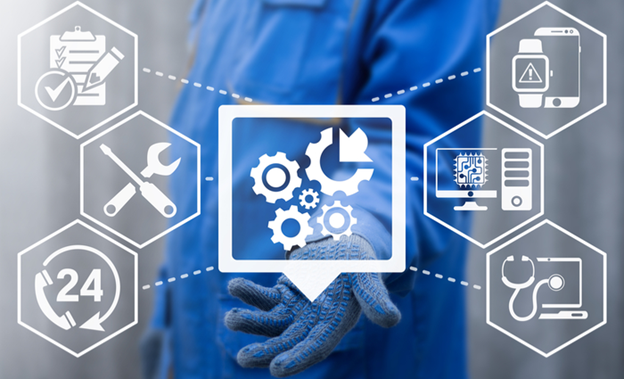 A well-thought-out, comprehensive safety inspection program, implemented using The Checker Software, will increase a company's worker safety and comply with all mandatory regulations. This software—which can be used on any mobile device—can manage inspections and audits, identify hazards, and provide corrective and preventive actions. 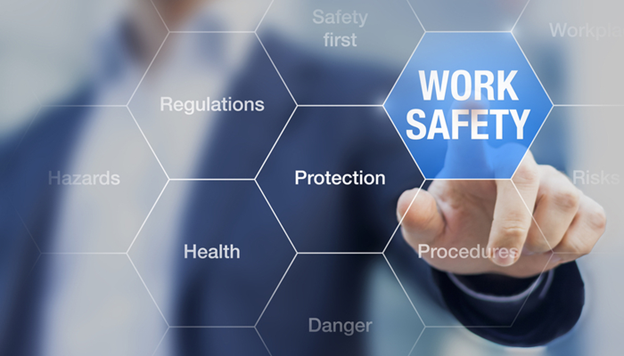 It can relieve you of any anxiety about non-compliance and pave the way to a safe workplace. Regular workplace inspections are essential in preventing all sorts of incidents, injuries, illnesses, property damages, or loss of revenue. There are some companies out there that for mainly financial reasons skip these inspections in the hopes of cutting on expenses. Unfortunately, however, this can only be considered a short-term solution at best or an accident waiting to happen, at worst. Only with a critical examination of the workplace enables business owners to save on costs, injury, and future liabilities. These inspections, if done professionally and regularly, will identify potential hazards, issue a corrective action, gain a deeper understanding of jobs and tasks performed, and listen to employee concerns. Here are five ways that will improve the effectiveness of your workplace inspection. Every inspection needs to take a close look at all elements that comprise the workplace. It includes the who, what, where, when, and how. You should, nevertheless, pay extra close attention to such things as noise, lighting, temperature, vibration, and ventilation - elements that could develop into unsafe or unhealthy conditions down the line. Inspections also need to go out of the areas where work is regularly conducted, and extend to such places like the parking lot, locker rooms, rest area, etc. There are many types of workplace hazards that you need to look out for and classified as biological, chemical, ergonomic, physical, psychological, and safety hazards. Among them, there are things like inadequate machine guards or unsafe workplace conditions, viruses, bacteria, fungi, and parasites, repetitive and forceful movements, as well as prolonged awkward postures, improper or faulty equipment, noise, temperature, overwork, stress, or even violence. The employees most exposed to the day-to-day activities are the ones most qualified to address concerns. Their input will prove valuable in determining what areas need particular attention, as well as what improvements are necessary to streamline operations and increase productivity. When looking for health or safety issues within your workplace, you should not stop at just identifying them. Once such a hazard is detected, you should also try and look for any underlying issues that may have caused it firstly. Depending on the circumstances, these issues, if not identified, can result in the same problems to reappear. Nothing should be left out or somehow swept under the rug, not during an inspection, or during every other day. The faster an issue is identified and reported, the easier and less costly it will be to fix. Whatever may seem out of the ordinary, potentially dangerous, or something that stifles productivity or wellbeing should be addressed as soon as possible, for everyone's benefit. For a workplace inspection to be successful, it is not enough to merely point out what is wrong. Realistic solutions need to be brought forth to complete the circle and help improve conditions in the workplace. Regular workplace inspections are not a drain on resources, as some managers may believe, but the exact opposite. They ensure that everything runs smoothly and without interruption, all the while keeping the workforce safe and productive. For an even more effective auditing process, consider The Checker Software , a fully integrated and scalable software solution. Standards vary worldwide, but OSHA’s rules for the U.S. are illustrative. A company can be in compliance with OSHA’s regulations for overhead and gantry cranes by conducting only one complete crane inspection a year. Excessive wear of any component. But these aren’t necessarily formal inspections (i.e., documented, with each component of the crane clearly passing or failing). A formal inspection of the hoist chains is required monthly, but the other “inspections” can be done by simply looking to make sure there are no issues. Depending on the activity, severity of service, and environment, formal inspections may be required more often than annually, but in normal conditions, once a year satisfies OSHA’s requirements. That’s just not enough. Annual inspections may keep regulators off your back (as long as no incidents occur), but inspecting cranes that infrequently is simply bad business. Regulations about crane inspections shouldn’t even have to be put into writing. They’re beyond common sense—like don’t walk in the middle of a busy road. 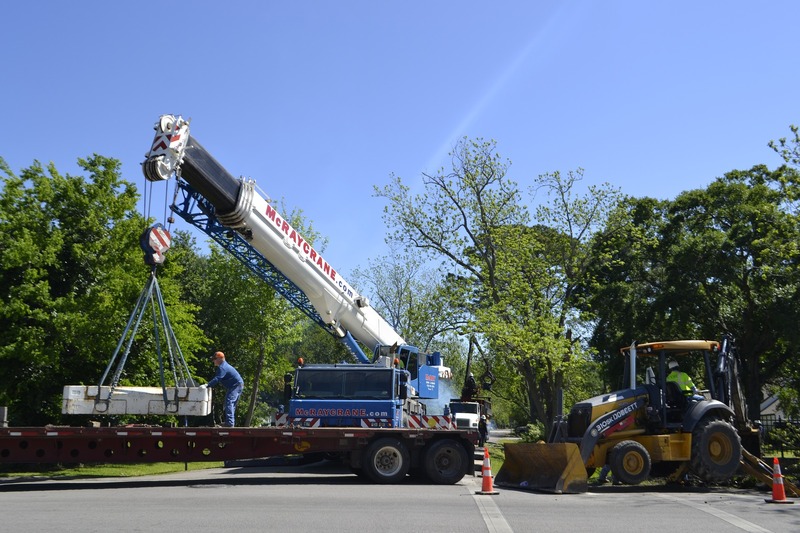 The potential cost of a crane accident is so far beyond the labor involved in conducting very frequent and documented crane inspections that’s it’s not even a close decision. With a few minutes of inspecting a day, using inspection checklists for cranes, you can ensure that crane operators are actually doing their daily inspections. Plus, the completed checklists serve as documents confirming “no negligence” if anything terrible does happen. Heavy machines and heavy loads, with humans and property all around—much is at risk. Why not reduce that risk as much as possible? When it comes to crane safety, doing only the minimum inspecting required is risky business. Using inspection checklists to conduct frequent crane inspections pays off by protecting against the potentially enormous human suffering and financial costs associated with crane failures. How serious is workplace safety becoming? Well, it’s always been serious, because human lives and welfares are at stake. But now it’s becoming an increasingly serious business risk. 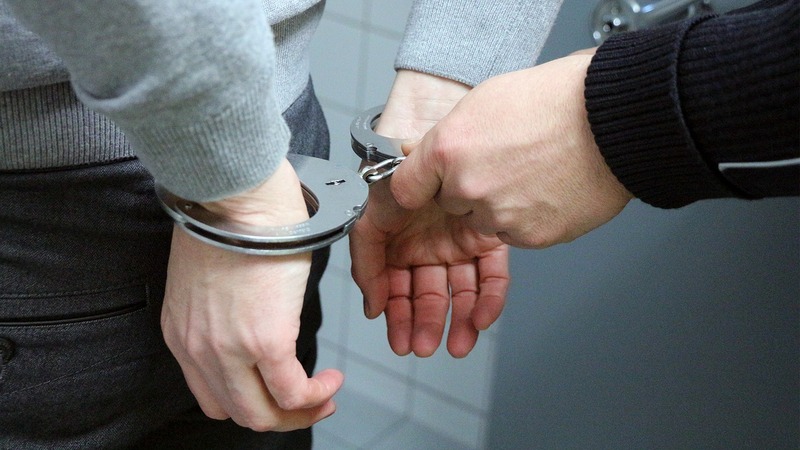 In Ontario, any fine issued—including Ministry of Labour penalties—is also accompanied by a Victim of Crime surcharge, which is 25 percent of any fine more than $1,000. So, the $ 1.5 million maximum corporate fine would actually be $1.875 million. Realistically, fines for an offence under Ontario’s Occupational Health and Safety Act (or under U.S. OSHA) rarely rise to the maximum amount, but the point is made with the increase. The Ontario Ministry of Labour apparently believes fines haven’t been stiff enough. So, it’s a fair assumption that all fines will increase, regardless of the severity of the offense. The Ministry of Labour has already been active in enforcing safety—conducting more than 79,800 visits to 34,700 workplaces in 2016-17, issuing more than 118,000 orders due to non-compliance. 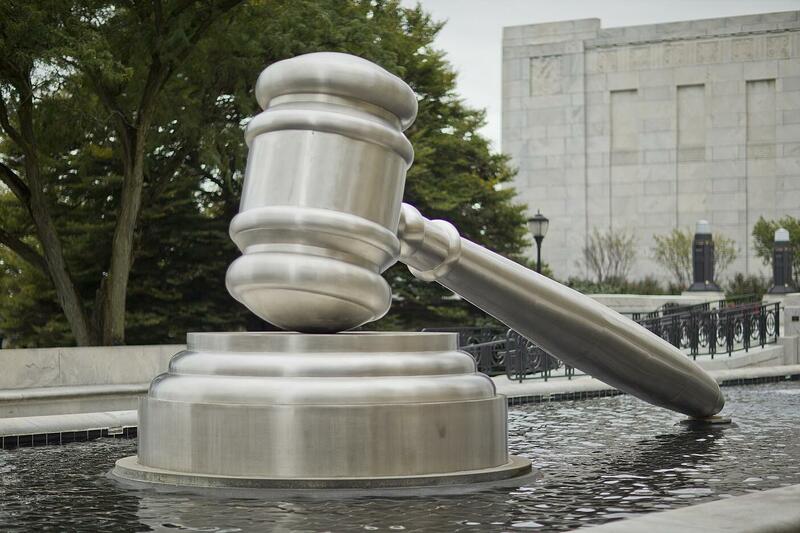 In 2016, the courts imposed more than $11 million in fines, and many businesses aren’t looking forward to the prospect of even higher fines. However, Ontario’s action, while it could initially be seen as a threat, is actually good news for businesses that already understand the business value of safety and have been actively seeking to gain it. The risk of higher fines is a competitive disadvantage for their competitors lagging in safety. It’s heartening to see the Ministry of Labour take a meaningful step to reinforce the importance of keeping workers and the public safe. Our hope is that all companies take notice. Those that do will improve not just safety but their entire business. Those that don’t should be worried because regulators seem resolute in increasing the cost of non-compliance. A proven way to improve workplace safety and minimize the risk of regulatory fines is to routinely conduct safety audits and inspections using checklists. The Checker inspection checklist books can be used to guide and document proper audits and inspections—a strong step toward gaining the many business benefits of safety, including compliance. The Checker Software can do the same while also providing the tools to develop a comprehensive audit/inspection program that extracts all the available value from audits and inspections. 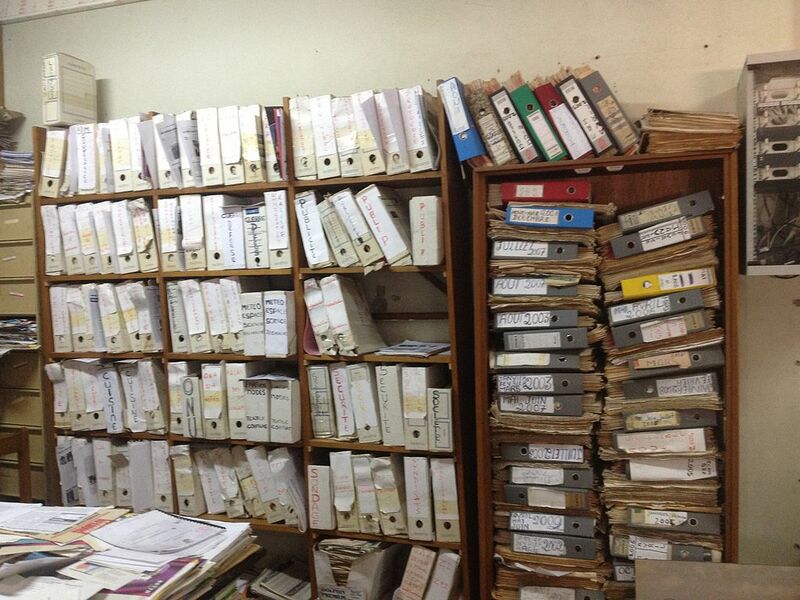 We were recently approached by a municipality looking for inspection checklist books. Something bad had happened, and now they were focusing on inspections. They had a front-end loader they used at a dump site. The loader never left that site, and it was never touched by maintenance. And no one was inspecting it to see if it needed to be! They weren’t even checking its fluid levels on a regular basis. Not surprisingly, the fluid levels fell too low, and the loader’s engine overheated, causing serious damage to the engine. After they got the $50,000 repair bill, they couldn’t believe they had been so negligent as to not check the fluid levels. “What were we thinking,” they bemoaned to us. Unfortunately, stories like that are common. In an effort to save a little money and time in the short-term, organizations neglect to do audits and inspections that could prevent large losses in the future. 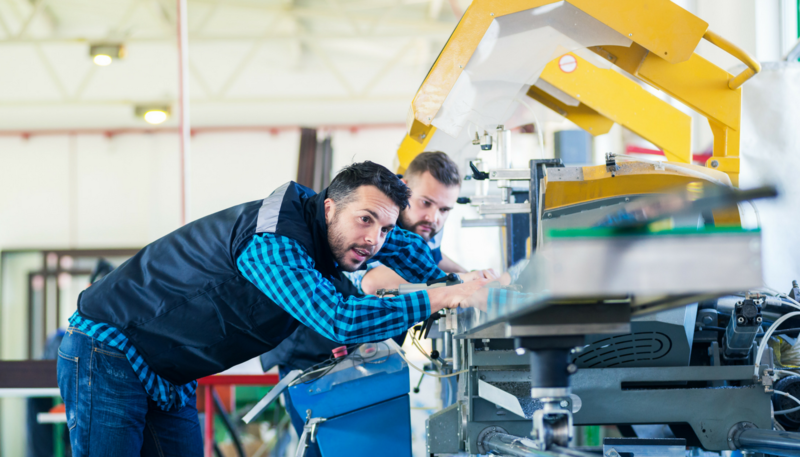 This organization wanted to make sure nothing like the loader debacle ever occurred again, and they had correctly decided that using inspection checklists would be an important step in maturing their inspection policies and procedures. Inspection checklists aren’t a magic solution that will ensure necessary audits and inspections are done. If they’re not used, they’re obviously not going to help. However, with checklist-usage requirements in place, checklists are a low-cost tool to support any effort to improve audit and inspection policies. They can be used by personnel to make sure they check everything that needs to be checked while documenting the inspections at the same time. The Checker inspection checklist books average only about $50 (with volume pricing available to lower the cost even more). And we have more than 100 different books—each one created for a specific type of asset. These are not the generic checklists you may have seen (e.g., a vehicle inspection checklist that could be for a car, truck, or off-road vehicle). Our checklists have all the detail necessary to guide proper inspections. Each book contains 150 inspection checklists, or enough to last for at least half a year in a single-shift operation. That’s a lot of inspection support for not a lot of money. Spending $50 for a half-year’s worth of protection against the costs of asset failure (not to mention the costs of regulatory non-compliance) is a lot better than choking on a $50,000 bill! 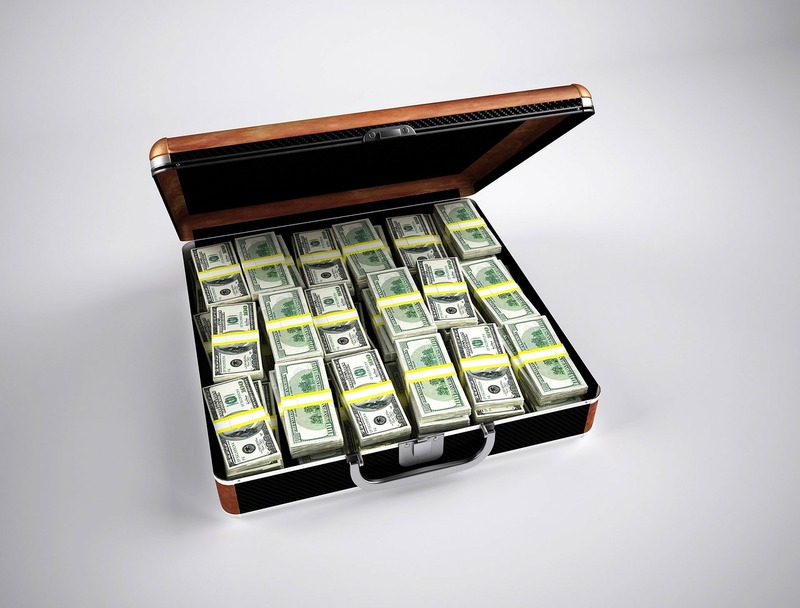 Small spending on audit/inspection tools such as The Checker inspection checklist books (or The Checker Software via the cloud) is good business because the costs of insufficient inspecting can be dramatically high—many, many multiples of the small amount it costs to improve your inspecting. If a Workplace Accident Occurs, Do You Have a Defensible Position? We often talk about “being compliant” because our audit/inspection software and inspection checklist books are designed to keep you compliant with applicable health and safety regulations. However, we’re aware that achieving “100 percent” compliance is a considerable, perhaps impossible, challenge. Even if you’re using tools like The Checker and are providing proper training and incentivization for a strong health and safety program, there’s always the possibility of human error, of someone accidentally doing something that’s against regulations. And sometimes personnel just don’t do what they’re supposed to do. That’s why (while perfect compliance is always the goal), it’s important to value the concept of having a “defensible position” if anything goes wrong. In general (not legally specific) terms, what this means is that you can demonstrate that you’ve made a good faith effort to do everything practical to keep your personnel and the public safe. Of course, there are very precise requirements from regulatory agencies like OSHA, and if you haven’t met one of these requirements when you’re inspected—or when an accident occurs—you are liable to substantial fines. But the amount of these fines (and sometimes whether you get a warning or a fine) is clearly influenced by your defensible position—how well you’re able to prove that your company has done its best to keep the workplace safe and healthy and that the infraction wasn’t due to organizational negligence. This defensible position is also critical if your company ends up in court, fighting charges or lawsuits claiming negligence. The good news is that compliance solutions have benefits beyond creating a defensible position. First and most importantly, striving for compliance helps keep people safe. For example, auditing or inspecting assets with The Checker satisfies regulatory requirements and provides ready documentation of compliance, but also keeps unsafe equipment from being used and hurting people. 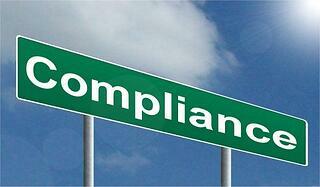 And more often that not, compliance solutions lead to process and quality improvements that benefit the bottom line. Think about the value of discovering a defect that needs immediate correction to avoid a productivtity-sapping breakage during the next shift. Or consider how inspection results can be used to identify the durability of a particular brand of asset. In ways like this, and many others, compliance correlates with efficiency. So, never stop pursuing compliance but realize that even if you never achieve 100 percent compliance, your pursuit will result in a defensible position that can save major dollars. And understand that the pursuit will keep your personnel and the public safer, while likely increasing profitability. You can never ensure perfect compliance, but with compliance tools like The Checker you can ensure that you’re doing all you can to be compliant, have a defensible position in case you’re accused of negligence, and are reaping the many associated benefits of compliance efforts. Safety audits and inspection are about much more than compliance. They keep people safe, help lower maintenance costs, and improve operational efficiency. But the importance of compliance with safety regulations can’t be overstated. Compliance will always be high on the list of reasons why regularly performing and documenting audits and inspections is smart business. But how do you get the documentation part right? Of course it’s essential to perform audits and inspections properly, but documentation is how you prove compliance. Without it, even the safest companies can be subject to regulatory fines and exposed to liability. However, manually documenting auditing/inspecting results can take time if it’s done well. Efficient compliance documentation is about more than recording audit/inspection results in the field. It’s also about storing those results in the most cost-effective way possible. Supervisors need to be able to see that the audits/inspections are being done, and done correctly. And if companies are ever visited by safety regulators, it’s very beneficial to be able to provide inspectors with proof of compliance on short notice. This means that the information that proves compliance should be stored in a way that makes it easy to retrieve. But this storage process can be costly and time-consuming, involving lots of copying, filing, and spreadsheet data entry. Fortunately, there is a way to reduce this cost and time investment—audit/inspection software. Audit/inspection software, such as The Checker Software, allows companies that understand the importance of easily accessed compliance information to store their information as soon as its recorded in the field. The labor involved in copying, filing, and/or data entry is eliminated, along with any labor involved in disseminating this information to direct supervisors and others who need to know it, such as H&S or compliance managers. This data archiving capability has much value beyond allowing organizations to internally assure compliance and quickly prove compliance to external inspectors. 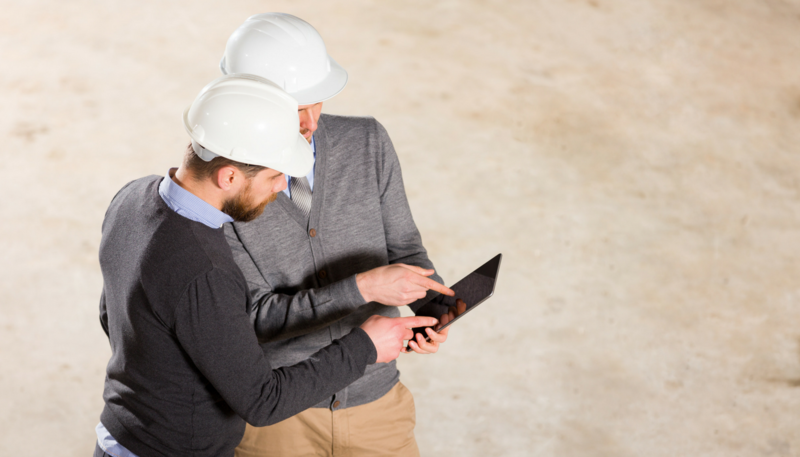 The results of safety audits and inspections can be used to improve safety, guide proactive maintenance, help with equipment scheduling, set budgets, and much more. But the ability to easily and quickly store and retrieve compliance documentation shouldn’t be overlooked because it’s such a “simple” process. It may seem simple, but it does take a lot of time and effort without the aid of software tools. Being able to track and prove compliance is a basic, but vital, purpose of audits and inspections. Audit/inspection software makes this task much easier and provides labor cost savings that more than justify the cost of using the software. Upper image courtesy of nyphotographic.com, Creative Commons; Lower image courtesy of doual'art, Creative Commons.